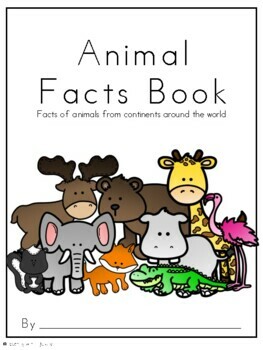 This book is a great addition to any unit or study having to do with animals! 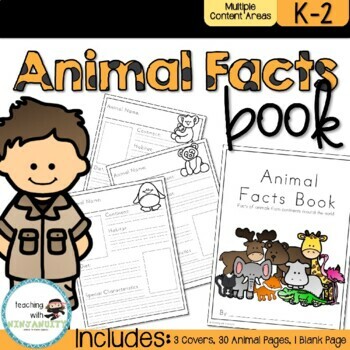 -Include in a unit on Habitats, Animals, Biomes, etc. 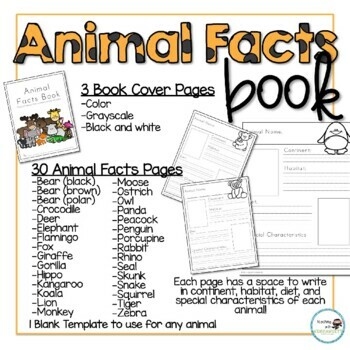 In my classroom, we use 6-10 animal pages for animals from different continents as we study different habitats, environments, and types of animals. With 30 animals to choose from and a blank template, I’m able to choose animals my particular class is interested in for that school year. Following our unit on animals, we take a trip to the zoo. Having so many animal pages to choose from lets me pick animals that might have special attractions during our zoo trip! 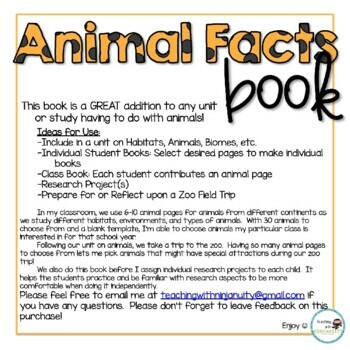 We also do this book before I assign individual research projects to each child. It helps the students practice and be familiar with research aspects to be more comfortable when doing it independently.